Players and Ages: For two to six players ages seven and up. Contents: Manual, card tray, 52 card deck. Overview: Players compete to keep the lowest point total at the end of the game. The game-play is similar to hearts. Choose a player to act as the dealer for the round. Deal an even number of cards to all players, and set the left over cards aside in a pile. The player who takes the first round acquires any left over cards. Take a moment to arrange your hand by color and number. 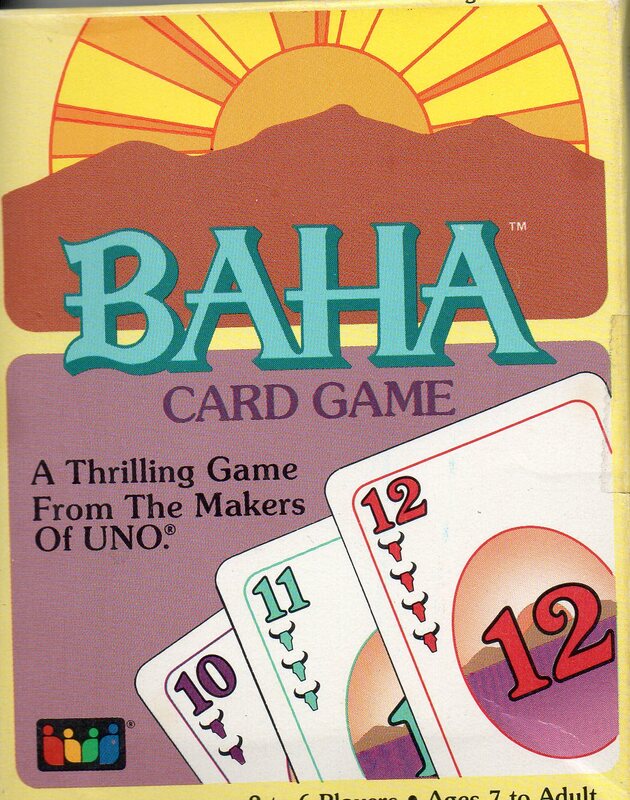 You will notice that cards numbered nine or higher are the “horned” cards, which are the point cards that you will attempt to avoid taking throughout the game. Every player chooses three cards from their hand and passes them right. If everyone did this correctly, you should all still have the same number of cards in your hand after the pass. You pass simultaneously, so you can’t pass what you’ve been passed. The passing rules changes in rounds two, three (see below). The player to the right of the dealer begins the hand by playing any card from their hand to the center of the table (face up). The next player must play a card of the same color onto the pile. If you do not have any cards in the current color, you can add any color card from your hand to the pile (use this as an opportunity to ditch “horned” point cards). After all players play one card from their hand as described above, the round ends, with the player with the highest numbered card of the chosen color (the first color played by the player who started the round) collects the pile and places them face down near them. The player who takes the round begins the next round, and play continues in this manner until all all cards are played. Once all cards have been played, players total any “horned” point cards (face value), with all other cards having no point value. Write down your point total for the round. Winning: After everyone has written down their point total, the deck is passed to the right of the dealer and the game continues as before. The game ends when a player reaches 100 points, with the winner being the player with the lowest point total. In the event of a tie, play another round. If you’re a risk taker, you can try “Shooting the Moon”. If you collect all 60 points (the total number for every possible point card), you will score a zero for the round, with all other players scoring 60. Two Player Rules Variant (or optional three player variant): For a two player game, deal 13 cards to each player. Put the remaining cards into the center of the table to form a draw pile. Arrange your hand and make the first play as with the standard rules. After each player in the round has played one card, each player draws one card from the draw pile to bring their hand size back to 13. Continue refilling your hand in this manner every turn until there are no more cards in the draw pile. When the draw pile is depleted, continue play as normal.